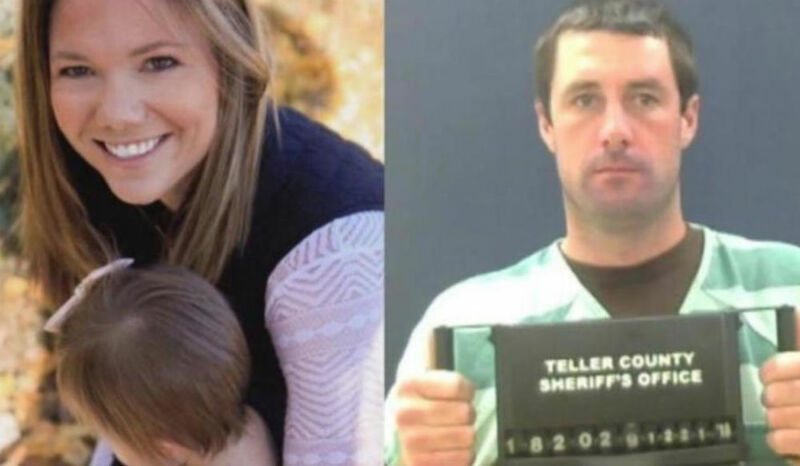 The man accused of killing Colorado mother Kelsey Berreth demanded that a bank teller share information about his bank transactions and surveillance video footage during the first days that Berreth went missing from her Woodland Park, Colorado, home. Search warrants released earlier this month by the 4th Judicial District Attorney’s Office, related to the murder investigation, reference an interview with a bank teller who reportedly encountered Frazee and an unidentified man on December 5. According to the account presented in the search warrants, Frazee asked for a “timeline” of his bank transactions from November 22, the last day Berreth was seen alive. The teller, from a Woodland Park ENT Bank branch, told investigators that Frazee was seen on ATM surveillance video for six minutes beginning at 12:44 p.m. that day, when he made three deposits and one withdrawal. Frazee reportedly asked the teller if a baby and a baby seat, presumably in Frazee’s truck, were visible in the surveillance video. The teller reportedly told him that the baby and the carrier were captured. The ATM surveillance video evidence, coupled with surveillance footage of Frazee at a Walmart with his daughter taken just after 1 p.m. on November 22, appears to support a theory that Frazee and Berreth met up very briefly that day, sometime near 12:30, to exchange their daughter, who was seen on surveillance footage with only Berreth at a Safeway supermarket on November 22 at 12:05 p.m. A neighbor of Berreth’s told KOAA they believed they saw Frazee’s car parked outside Berreth’s townhouse sometime between 12:30 and 1:00 p.m. that day. The surveillance footage timeline from the bank indicates that Frazee would have been at the home closer to 12:30 than 1 p.m. if the witness’s recollection was accurate. It appears that investigators believe Frazee returned to Berreth’s home later that day and allegedly beat Berreth to death. Kenney said she drove from Idaho to Colorado and arrived in Woodland Park on November 24, when she claims she spent hours cleaning up the crime scene. The former nurse, who was put on administrative leave in January, has pleaded guilty to one count of tampering with evidence, and will testify at Frazee’s murder trial as a condition of her plea agreement.